The Urdu poet died 150 years ago. A rich translation tradition has ensured his legacy lives on, even far away from home. Mirza Ghalib, who died on February 15, 1869, was a powerful, eloquent and erudite poet who investigated and captured life’s experiences and occurrences with capering humour in his enigmatic ghazals. Even though Ghalib was never fully appreciated in his own lifetime, today, his name is synonymous with Urdu poetry. His verses, which were far too advanced for his times, are not only recited in Urdu but have now transcended borders and languages, and cemented their place in American literary traditions. Ever since English translator Edward Fitzgerald first transcreated Omar Khayyam’s The Rubaiyat in the mid-19th century, translators from the West have constantly tried to explore the depths of Indo-Islamic traditions of poetry. The interest in Persian ghazals was first shown by German translators and poets such as Johann Wolfgang Goethe, Joseph von Hammer-Purgstall, Friedrich Ruckert and August von Platen who had started translating ghazals by poets like Hafiz into German when Ghalib was still alive. By the 20th century, Federico Garcia Lorca, the Spanish poet had already popularised ghazals (or gacelas as he called them) in Spanish through his collection Diwan del Tamarit (1940) — a result of his Moorish heritage and background. However, the form finally caught the attention of American poets and entered the framework of American poetry through Ghalib. 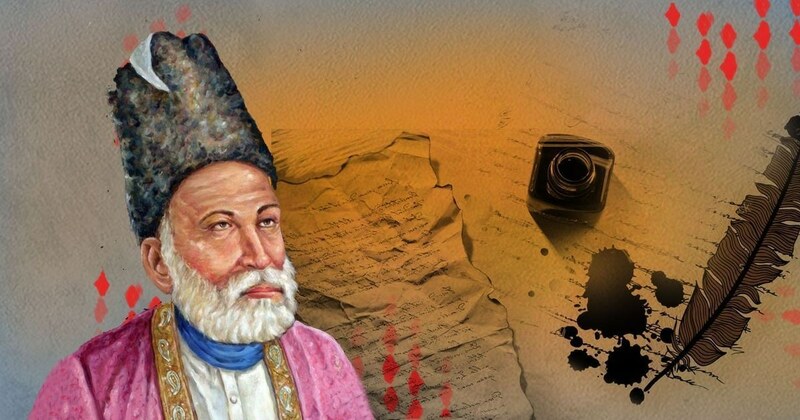 On Ghalib’s centennial death anniversary in 1969, Aijaz Ahmad — a Pakistani critic residing in New York — published Ghazals of Ghalib in order to familiarise the American audience with his timeless verses. His aim was to place the 19th-century poet, in his own words, “across time, space and civilisations”. According to Ahmad, rather than a simple translation project, this was translation as “an encounter of ages and histories” and a means for poets to “converse with each other, again across time, traditions and languages”. Ahmad handed out literal translations and lexical notes to revered American translators and poets such Adrienne Rich, WS Merwin, David Ray, Mark Strand, and William Hunt, who were free to choose whatever method of translation suited them the best. Ahmad’s aim was to take Ghalib, and not the ghazal in its lyrical capacity to the West, so the translators weren’t asked to adhere to the formal structure of ghazal and had the freedom to use free verse. He emphasised that “translation is approximation” and that “one translation might capture what another misses”. There was a multiplicity of responses in the book since multiple poets translated the same ghazal. Reminiscent of American translator Eliot Weinberger’s project Nineteen ways of looking at Wang Wei (1987), where he commissioned 19 translators to translate the same poem, the results were fascinating. The translations were a manifestation of literary critic Harold Bloom’s views that “freedom, in a poem, must mean freedom of meaning, the freedom to have a meaning of one’s own”. However, this emancipation of the essence by crushing the form was seen by many as misappropriation. Ahmad’s approach was questioned by many poets and scholars from South Asia such as Pariksith Singh, who raised crucial questions about loyalty to the text and the authenticity of the results and remarked, “to me, this is like calling a fourteen-line poem a sonnet”. Even though the approach was questioned, its effect was acknowledged by everyone. The collection of poetry essentially created a butterfly effect. Poets such as Adrienne Rich, Phyllis Webb and John Hollander picked up the form and started writing ghazals in English, incorporating feminist themes and anti-war sentiments of the 1970s into their ghazals. By the time Agha Shahid Ali transformed ghazal writing in America in the late 1990s — bringing back the formal structure by employing traditional Urdu and Persian devices such as mazmun-afrini (theme creation), the qafia (rhyme scheme), and the radif (refrain) — ghazals had become a prominent form of poetry in the United States. Since the publication of Ghazals of Ghalib 50 years ago, the interest in his poetry has grown exponentially. Christopher Merrill, the director of the International Writing Programme at the University of Iowa, goes as far as to say that “ghazal in today’s time has become a staple form of poetry that every MFA student has to endure”. The credit goes to Ghalib’s thought, his language of loss and expression of grief that sustained and managed to stay relevant in a different time, a different language system and different land. Scholars such as Francis W Pritchett — who has dedicated years of her life to preserving Ghalib’s entire collection of poetry and his legacy through her project “A Desertful of Roses” — have not only enriched American literary traditions but have made Ghalib accessible to the whole world. In recent years, various poets and translators have attempted to translate Ghalib’s ghazals to English again in order to find new meaning. Andrew McCord’s brilliant translations of Ghalib’s ghazals — where he manages to incorporate the qafia and radif while bringing out the essence — are an example of America’s continued fixation with Ghalib. Should you not look after me another day? Why did you go alone? I leave in only another day. If your gravestone is not erased first my head will be. Genuflecting at your door, in any case, it’s me another day. Okay. It’s not forever, but it was for, surely, another day. That’s rich! After this destruction could there be another Day? In my house you were the fourteenth night of the moon. Why this dark house? Wane slowly another day. And I say to the ancient sky, “Arif was still young and knowing. The sheriff death could not wait to garnishee another day? Still you would stay to watch the children’s glee another day. By no means had the interval of sadness and happiness expired. You’re gone but you were meant to make do with me another day. My fate is to long for the day I will not be another day. It is only natural that from here on, Ghalib’s influence will only grow in the West. Robert Bly’s collection The Lightning Should Have Fallen on Ghalib (1999) and Russel Ralph’s The Seeing Eye: Selections from the Urdu and Persian Ghazals of Ghalib (2003) are a testament to the fact that Ghalib’s verses have reinvigorated formal poetry in the West, and in doing so, has found a place in the American literary consciousness. Manan Kapoor is a writer with Sahapedia, an open online resource on the arts, cultures and heritage of India. This article is based on Sahapedia’s module on Mirza Ghalib. Sahapedia offers encyclopaedic content on India’s vast and diverse heritage in multimedia format, authored by scholars and curated by experts — to creatively engage with culture and history to reveal connections for a wide public using digital media. "Ho Chuki Ghalib Balayen Sab Tamam Ek Margheh Nagahani Aur Hai"The great Mirza Ghalib was not only a great Poet but a Psychologist too when it came to expressing human feelings.No wonder his Poetry is still popular and will be for every generation.Although he was of Turkish Parents but he had command over Urdu and Persian Languages. Thanks for this article. I thoroughly enjoyed it. No doubt it is a tremendous movement but as someone who has experienced Ghalib in Urdu one cannot ignore the beauty that is somewhat lost in translation. It is no surprise that he is universally acclaimed, since the very essence of his ghazals is a personal signature, a rather mellow melancholy on life. This essence is revealed in its full glory by urdu alone just as Shakespeare’s sonnets will not be the same in french. This however does not undermines either the text or it’s translation because both are bound to transcend further bounds. Very imperisive and nice deliberations of Kalaam e Mirza Ghalib. This is very Painful and great job done by the writer. beautiful. Fatiha for Ghalib, May your soul rest in eternal peace... my eternal existential soulmate. Informative article. Sad that Urdu is departing from Bollywood movies and songs. Urdu is such a rich heritage in the literature of the Indo-Pak subcontinent. 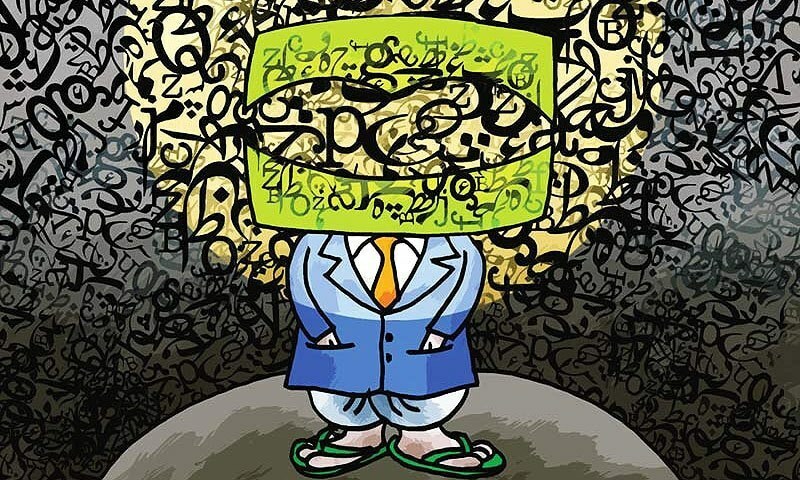 Urdu should not have become a victim of political hysteria. 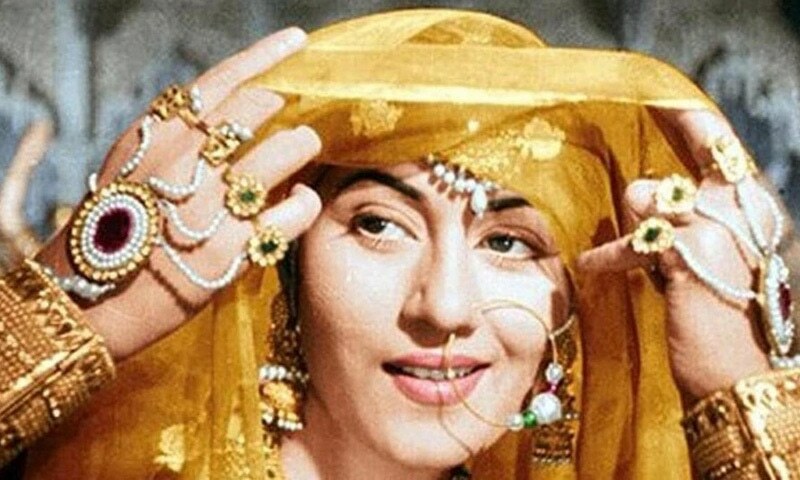 I still treasure old Indian music and movies. Great songs rendered by Latajee, Rafi, Mukesh, Talat mehood, Kishore Kumar and many other singers. Who can ever forget the Ghazals sung by Jagjeet Singh.. Interesting information on Indian Urdu poet Mirza Ghalib, for us Canadians. Thanks. 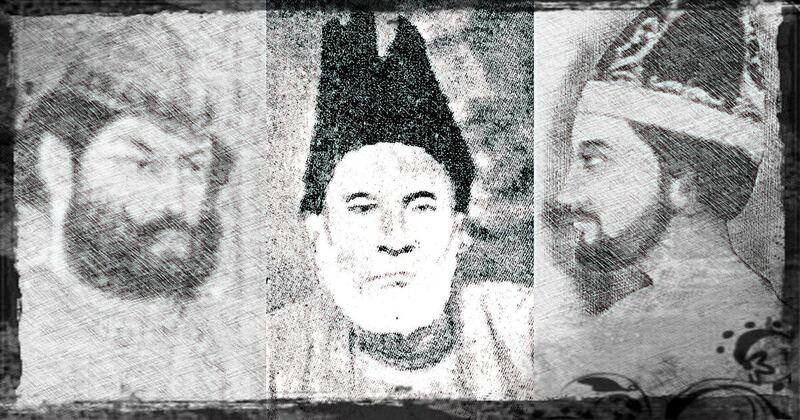 A very interesting essay on Ghalib’s influence on modern American poets. And thanks for sharing Andrew McCord’s valiant effort to translate Ghalib with the rhyme pattern and refrains in the original ghazal. However, much gets lost in attempting to do it literary justice. I’m afraid that only Fitzgerald’s “inaccurate” rendition of Omar Khayyam’s rubaiyat gave the English speaking world a glimpse of the richness of Persian poetry. And the same can be said of Rabindranath Tagore’s English self-translation of Gitanjali from the original Bengali. In both cases, the underlying philosophical meaning and unique spirit of the verses comes through. Very few Urdu or Persian ghazals translated into English, including those of Iqbal, have had such success. Mirza Ghalib was a great Indian shayyar. "The credit goes to Ghalib’s thought, his language of loss and expression of grief that sustained and managed to stay relevant in a different time, a different language system and different land." Sums up the whole discussion. Mirza Ghalib´s description of the last days of Muslim-Dehli is heartbreaking and I will always remember his accounts of British atrocities against Muslims. Love Mirza Ghalib. No match of his poetry in the world. There are no words or exact meanings of words used by Mirza Ghalib. I don't know if translated version of his poetry can have actual magical affects. Thank you. Great Article and very interesting to the ones who live in America.